Alfonso Cuarón’s “Gravity,” about two astronauts working together for survival after an accident leaves them alone in space, is an intellectual marvel. The film stars Sandra Bullock, who plays medical engineer Dr. Ryan Stone on her first shuttle mission, and George Clooney, who plays the veteran astronaut Matt Kowalsky. After disaster strikes, the two are left spiraling into the blackness of space, fastened to nothing but each other. It is a film that artfully juxtaposes suspense and terror with panoramic beauty, allowing its audience to be compelled by a sense of wonder while being simultaneously introspective. 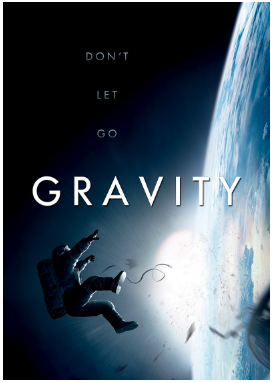 Renowned American film critic, Roger Ebert, believed “Gravity” to be “a film about what happens to the psyche as well as the body in the aftermath of catastrophe.” But what makes this a must-see in 3-D? Its visually stunning scenes of space, from looking down at Earth to propelling through the eternal blackness, offer a 3-D experience that fully immerses viewers into the surreal and terrifying coldness and vastness of space. Watching “Gravity” in 3-D enhances the entire experience and seems to capture the full essence of something so abstract and unknown, yet so powerful. A must watch for space-lovers and George Clooney-lovers alike! 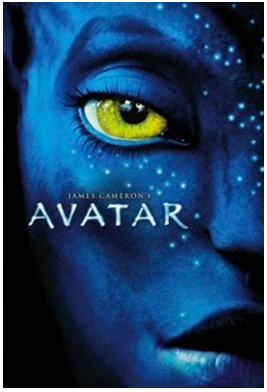 James Cameron’s “Avatar,” the science fiction blockbuster about an ex-Marine thrust into hostilities on an alien planet who then becomes torn between two worlds, delivers both breathtaking entertainment and breakthroughs in technology. “Avatar” expands our imagination and inspires viewers not only by the powerful anti-war and pro-Green messages, but also by the stunning world of Pandora. The alien planet is largely CGI, but the keen attention to detail has launched new innovations in special effects, making this imaginary world all the more real. “Avatar” is a unique type of 3-D movie because it never uses 3-D simply for the sake of doing it. Rather, watching this film in 3-D smartly enriches the overall quality, without dimming the picture or violating the fourth wall. A visual phenomenon and an intellectual splendor. Ang Lee’s “Life of Pi,” based on the worldwide best seller by Yann Martel, is about a young man who survives a disaster at sea and, amongst his journey, forms an unexpected bond with another survivor: a Bengal tiger. To watch this movie is to watch a parable unfold before your eyes. Many readers believed the book was unfilmable, but Lee challenged this idea and created a visual masterpiece that artistically blends the real and the abstract into one poetic entity. The 3-D enhancement creates a sense of harmony: ocean, boat, and sky in a cohesive union, dramatically deepening the film’s sense of place. You know the old saying that the book is always better than the movie? 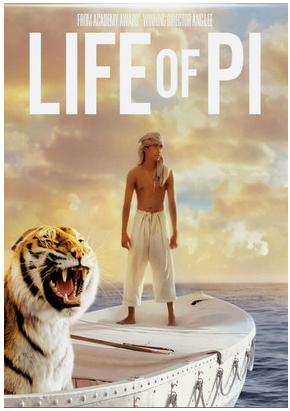 “Life of Pi” in 3-D is sure to put this belief to the challenge. Try our Seatcraft Eros Theater Seating that offers manual reclining, lumbar support, and ultimate, refined comfort. 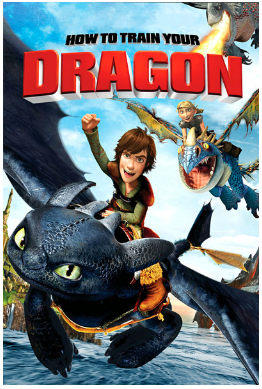 Earning a 98% on Rotten Tomatoes, “How To Train Your Dragon” is a favorite for imaginative minds of all ages. The story follows an ill-fated young Viking who aspires to hunt dragons and his adventures in learning there may be more to the flying creatures than he assumed. This movie captures the fleeting child-like imagination that tends to fizzle out over time. It reminds us that we are born with a thirst for adventure, capable of riding dragons, and wiser and braver than adults. It teaches us that there is value in imagination because it breeds confidence, creativity, and passion. And experiencing the joy of this exhilarating tale in 3-D is sure to inspire you with its collection of bright colors, high-speed flight and battle scenes, and magical Viking territory. Try the Seatcraft Cuddle Seat Theater Furniture to snuggle up with the kiddos and our Seatcraft Wine Glass Caddy for a night of pure bliss and happiness. Tim Burton’s “Alice in Wonderland” tells the story of nineteen-year-old Alice and her return to the magical world from her childhood adventure. The film’s wonky style gives the story a trippy adaptation that is visually captivating, especially from a 3-D experience. In animated films like this one, 3-D gives viewers the opportunity to step inside the world. 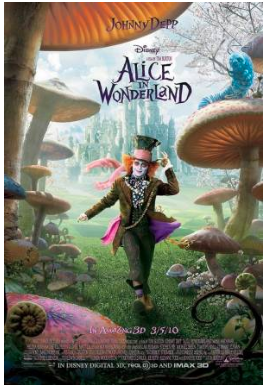 From falling down the rabbit hole to wandering through the magical forests filled with toadstools and colorful characters like the Mad Hatter and The Caterpillar, viewing this movie in 3-D plays up the dream-like wonders and reality-altering experiences. 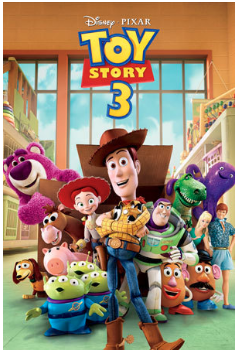 Disney Pixar’s “Toy Story 3” has been praised for its lovable characters, its combination of tender moments paired with lighthearted humor, and its incredible musical score. It is the adventurous story of the toys’ journey home after being mistakenly delivered to a daycare center before Andy leaves for college– and it’s quite the tearjerker. With its courageous “no toy gets left behind” theme amongst fears of being cast off and no longer of use, it’s no wonder that “Toy Story 3” became the second Pixar film to receive a nomination for Best Picture. This animated gem, a favorite for all ages, creates a miraculous 3-D experience. The bright colors and playful shapes seem to *pop* out of the screen and dazzle our senses, without being prone to the overused 3-D tactic where things seem to unnecessarily fly out of the screen. Try the Seatcraft Venetian Media Room Chair, that comes with tray tables and lighted cupholders to cradle your candies and popcorn! Martin Scorsese’s “Hugo,” shot on a state of the camera, tells the story of the oldest technology, perhaps extending the roots of cinema to become relevant in an era of rapid innovation. The enchanting tale, taking place in Paris in 1931, follows an orphan who lives in the walls of a train station and becomes entangled in a mystery involving his late father and an automation. 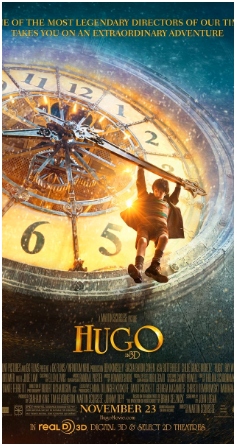 The use of 3-D in “Hugo” is particularly wonderful. Scorsese himself believed that 3-D allowed to be “more upfront emotionally,” making for a precise, detail-oriented 3-D experience. We get to follow Hugo as he is chased throughout the city and panic as the train rushes towards the camera. We get to fully experience the adrenaline, fear, and sheer magic of this captivating story. It is truly a children’s film suitable for grownups that will leave a warmness in your heart. 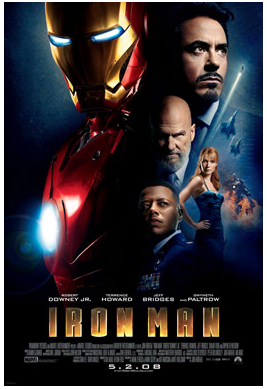 Marvel’s “Iron Man” is a thrilling, yet witty movie to watch with family and friends. It has the spunky, playful attitude that we all love in Marvel’s movies that will entertain even non-comic fans. The story follows Robert Downey Jr. as Tony Stark, billionaire industrialist and inventor, who is kidnapped and builds a high-tech suit of armor to escape. His vows to protect the world as Iron Man leads audiences on a rollercoaster journey throughout his escapades. The flawless CGI effects and jaw-dropping pyrotechnics make this movie one of the coolest spectacles to experience in 3-D. From contrasting the shadowy darkness and fiery explosions to flight scenes, “Iron Man” is going to be one of your most memorable 3-D watches. Marvel’s “Logan” tells the raw truths of mutanthood. 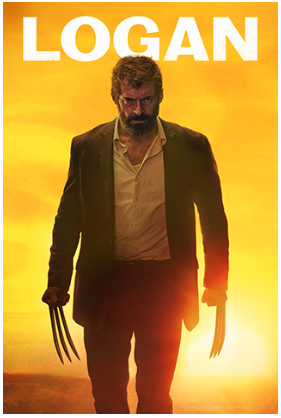 Hugh Jackman plays Logan, formerly known as Wolverine, in a year where mutants are isolated and nearly extinct. He is interrupted by a mysterious woman who compels him to bring a young girl to safety, and the action begins. It is a heartfelt goodbye for the Wolverine era, getting at the true core of Logan’s character. “Logan” isn’t your typical superhero movie; rather, the action shots are organic and meaningful to the plot. Let’s not forget about the characters; they are lovable, redeemable, and are worth investing in. Again, “Logan” offers a 3-D experience that for true enhancement of the overall film. It isn’t gimmicky, unlike many 3-D blockbusters. Patty Jenkins’ powerful presentation of “Wonder Woman” will leave you inspired, courageous, and proud. The live-action superhero movie follows the Amazon princess whose idyllic life is interrupted when a pilot’s plane crashes off the shore of her home. When she rescues him, she learns that the planet is war-torn and vows to bring peace to the world. The film tackles Wonder Woman’s mythical roots that are the foundations of her optimism and peaceful heart. 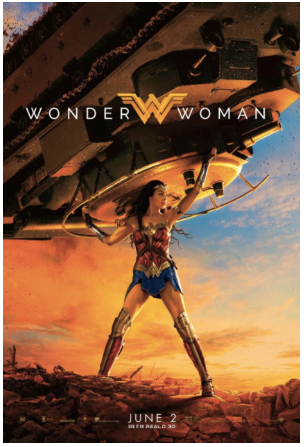 In addition to the kickass, thrilling performance of Gal Gadot in which she she stops bullets and bombs with her armor and shield and engages in dramatized, heroic battles, the panoramic scenes will leave you breathless. A 3-D viewing experience will put you at the forefront of the action and propel you to the edge of your seat. To get the full effect of the loud sound effects and explosions, try this SoundShaker Seat Vibration Kit to attach to your Seatcraft leather chair! If you remember those thin, cardboard glasses with red and cyan lenses (called “anaglyphs”) that they used to hand out at movie theaters, then you have a good idea of typical passive 3-D glasses. Other types of passive glasses use polarization to create the illusion of depth. Passive glasses are less common in general, and 3-D movies tend to gear their technology to active ones. Active 3-D glasses display stereoscopic images to each eye individually. They are capable of presenting the full color spectrum to the eyes, something that passive glasses don’t tend to do. Active 3-D technology is generally compatible with projection, LCD, and plasma TVs and are typically powered by batteries or USB cords. If you have a large family, buy a pair of glasses that comes with extra batteries to save you trips to the store. Depending on how much you watch 3-D movies, you could purchase a rechargeable pair (this will save you money in the long-run). Universal 3-D glasses often cost less and work with most brands of 3-D TVs. Universal glasses are perfect if you have to buy several pairs for viewing parties and other large events of that nature. This entry was posted in 3-D and tagged 3-D, 3-D Glasses, 3-D Movies, SoundShaker on April 16, 2017 by seatcraft.